From brand strategy, naming, and identity design, to launch and brand management, I help you build a brand that differentiates and delivers value. Connect to your markets in multimedia formats across multiple channels to grow awareness and generate leads for profitable growth..
Video market research that gets out from behind the glass and out on the street, the mall, in people’s homes, even trade show floors, to capture uncensored opinions. 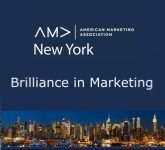 I serve on the Board of Directors for the American Marketing Association New York as the chair the communications committee and editor of AMA Insights. I also host the Brilliance in Marketing video series that celebrates highlights brilliant brands, companies, marketers and innovations. 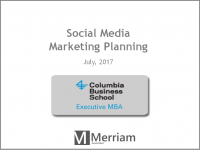 I am honored to have been a guest lecturer for the Executive MBA program at the Columbia Business School for the past two years, most recently presenting the nuts and bolts of social media marketing planning. I owe my career and successes to generous mentors who helped me every step of the way. Giving back is the best way to show my gratitude. 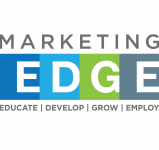 I enjoy mentoring the next generation of marketing talent by serving as a judge for the Marketing Edge Business plan competition for this non-profit that supports college students pursuing marketing degrees.